We love sharing some of our guides’ more significant accomplishments. We’d love to write about all of their accomplishments, but it’d simply be too much work so we stick to the significant bits. And that’s why we’re writing here and now. 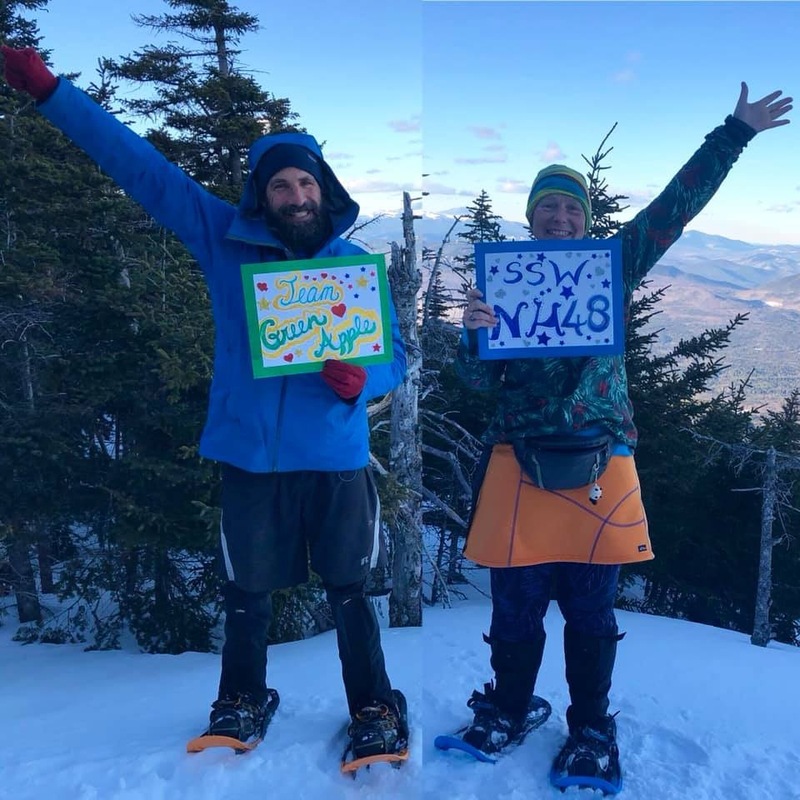 With the accompaniment of her husband, Rich Gambale, Redline Guide Arlette Laan — whom we write about a lot due to all the cool stuff she does — has completed hiking the 48 New Hampshire 4000-footers in a single winter. While we let that accomplishment sink in for a moment, we will also add that her winter was only about a month long since she was out of the country for two months. That makes this whole thing even more amazing. In essence, she could’ve done this three times over. Composite photo of this incredible husband/wife team. Congratulations Arlette and Rich. You guys are amazing!